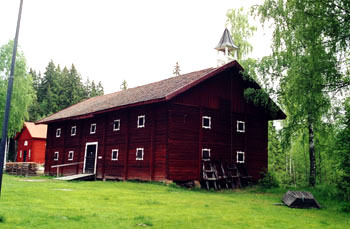 Torsbymagasinet used to be a grain storehouse that stood on the factory grounds of Thorsby Bruk (near Herrgårdsparken). It was donated to the homestead museum in 1960. Today, the ground floor is used for markets and larger festivities, while the upper floor accommodates Torsbymuseet. Here, you can explore a collection of historical objects and artefacts from the area.